There is no universally accepted definition blindness, a word that some may feel is as simple and straightforward as they come. Either you can see or you can’t, right? In reality, the truth is much more complicated. In the United States blindness requires 20/200 vision or less after glasses, but in other places this definition varies. The World Health Organization estimates that 285 million are “visually impaired” worldwide, and regardless of definitions, that’s a big number. Now, blindness and partial-sight have become the targets of a new wave of technology designed to help people maximize their sight potential, and to improve life for those who have limited or no ability to see. Here are 3 of the best. In Mexico, at the Center for Research and Advanced Studies of the National Polytechnic Institute, they have designed a pair of smart glasses that far surpasses the hopes of any that Google might devise. Using AI (artificial intelligence), ultrasound techniques, and computational geometry, they have designed a lightweight, comfortable pair of glasses that appear almost commonplace. They run on batteries, contain stereo sound sensors, GPS navigation, and enable sight basically by acting as a proxy. The AI can differentiate a US dollar from a Peso, tell colors apart, read important street signs, and actively learns to recognize the objects in encounters and the places it goes. Thanks to ultrasound technology, it can even prevent the wearer from walking through a glass door. Something most human eyes can’t even do reliably. 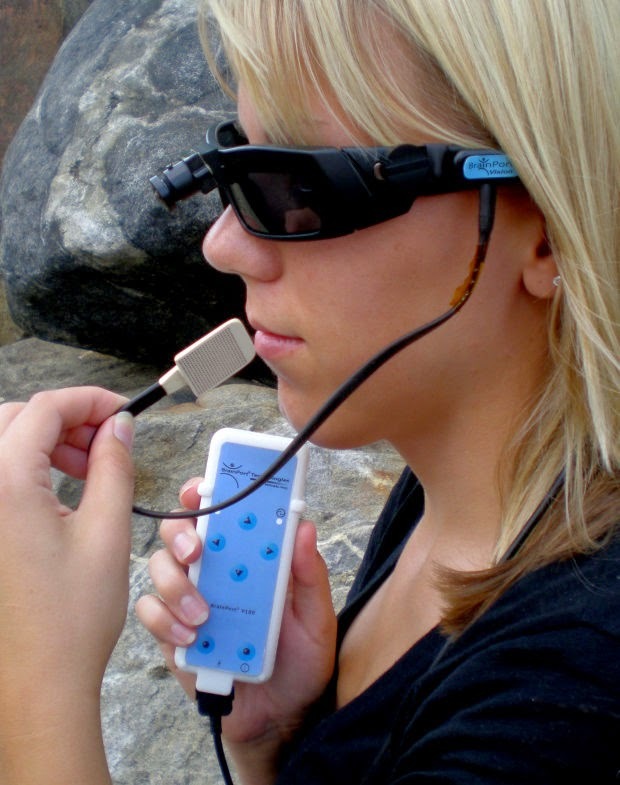 A similar project is in the works at the University of Oxford, where scientists are attempting to device glasses that will allow individuals with minimal sight to navigate a landscape more easily. Focused on the large percentage of blind individuals who still have some vision, however meger, the Oxford glasses are like something Inspector Gadget might appreciate. Composed of a compass, GPS, headphone, and gyroscope with small cameras and OLED displays, these glasses are uber high tech, they even boast 3D printed frames. Since the 60s the practice of reading braille has been on the decline, but the importance of reading braille for blind people has been studied and determined to have a significant impact on their inclusion in society. So, one group took it upon themselves to devise a product that could activate braille dots on the surface of an ereader or tablet, using some infrared and thermo-hydraulic technology. By enabling the blind to read anything, not just items specifically published in braille, the ereader could revolutionize access to information for millions of people.